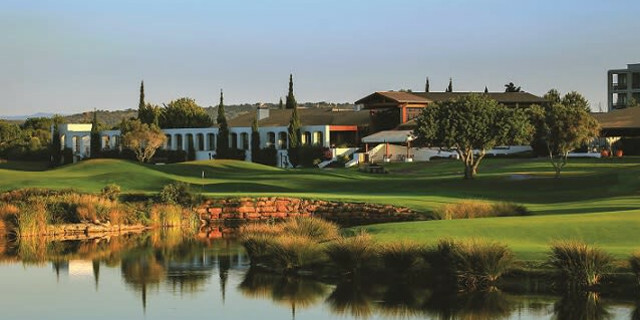 Aspiring junior golfers have the chance to test their skills at one of Europe’s top golf course as the Junior Masters returns to Dom Pedro’s renowned Victoria course, in July. Having been the location of the Portugal Masters on the European Tour for more than ten years, the course is beautifully maintained and offers a brilliantly professional experience for all participants. Golfers up to the age of 18 are able to enter the two-day competition that will take place on the 14th and 15th of July 2018. The organisers have stated that there will be two categories for the weekend; those under ten years of age, and those aged between 11 and 18. The event is sure to be a lot of fun for all involved, but there are also prizes available for the top three male and female golfers in each age group, following the conclusion of the second day’s play. Along with the possibility of winning a prize, all entrants will receive a daily snack-bag, a dÎnatoire cocktail and a lunchtime buffet on the final day of the tournament. All of this, as well as the two rounds of golf at the Arnold Palmer designed Victoria Course are included in the €100 entrance fee. The Victoria Course offers an enjoyable but challenging test for golfers and will once again be a brilliant course for the juniors to play. Dom Pedro Group say that the course “has a distinctive character, requiring accurate drives and pragmatic course management to avoid the extensive water hazards which guard many of the closing holes.” Aside from the Victoria Course however, there are four other Dom Pedro course with 3km. The Old Course Golf Club, Laguna Golf Course, Pinhal Golf Course and Millennium Golf Course all boast many luxury features and should definitely be considered if you are looking to play in the Algarve. An opportunity for juniors to play a course where the likes of Padraig Harrington, Andy Sullivan and Lee Westwood have all been successful is one not to be missed. For those wishing to enter the tournament, visit www.dompedrogolf.com/tournaments, and download an application form.